I just wanted to post a quick update post Session 3. I am excited to say the dark “coffee ground” skin has made its way off my face. The results you ask? I’m thrilled! I’m about 10 days or so days past the procedure and here is the photo to support my thrilled-ness! 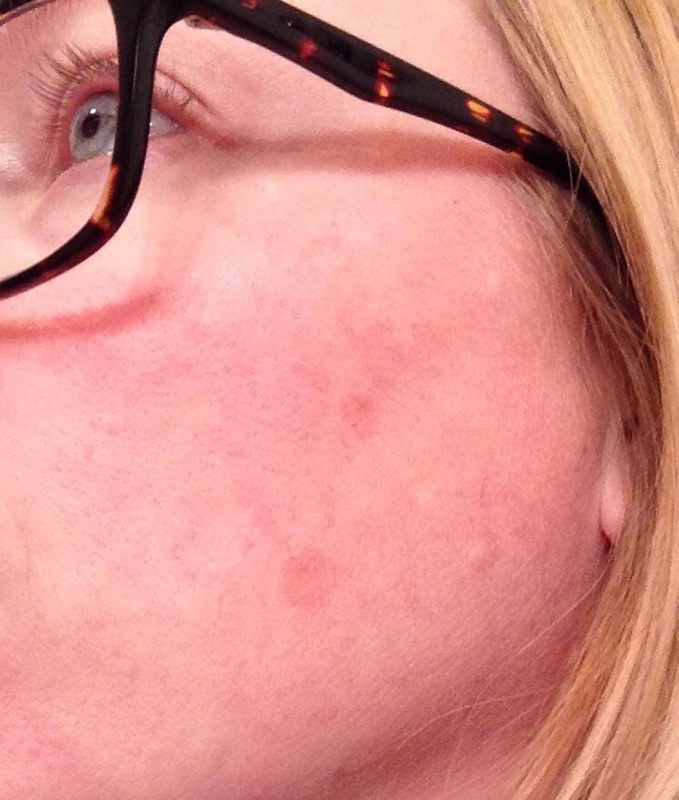 Yes, you can still see it but the spots are much less defined. This makes me hopeful in the next round those darned spots will scram!